A gerbera symbolising the Melbourne International Flower and Garden Show. Held in early April each year, as of its 10th anniversary show in 2005, it is presented as the largest and most successful horticultural event in the Southern Hemisphere. It is rated among the top five flower and garden shows in the world. For more information visit www.melbflowershow.com.au. A jacaranda flower symbolising the Grafton Jacaranda Festival. Grafton, in northern New South Wales, is well known for its tree-lined streets, and is immortalised in Cold Chisel's song Flame Trees. The festival is held from the last weekend in October to the first weekend in November. For more information visit www.jacarandafestival.org.au. 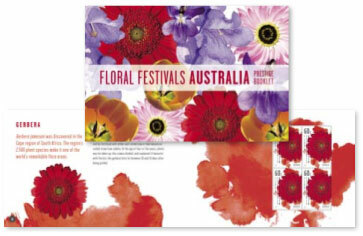 The only Australian flower shown, is the everlasting daisy symbolising the Kings Park Festival. Beginning in 1965, the festival is a month long celebration of Western Australia's native wildflowers, and attracts over 500 000 people. For more information visit www.bgpa.wa.gov.au. The Toowoomba Carnival of Flowers is symbolised by a violet. Held each September, the annual flower festival includes a prominent home garden competition and a parade of flower-themed floats. 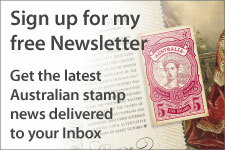 For more information visit www.tcof.com.au. Lastly, Canberra's Floriade started in 1988 as a one-off celebration for Australia's bicentenary and Canberra's 75th birthday. Due to the success of the event, it has run every year since from mid-September to mid-October. Tulips have long been associated with Floriade, with each year having a theme and a gnome decorating competition. For more information visit www.floriadeaustralia.com/. All images on this page come from the electronic version of the Stamp Explorer. More details and actual images of the products will be posted when available. 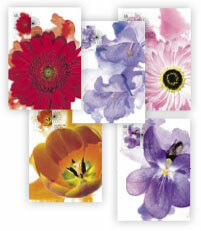 This issue features five flowers, each symbolising a floral festival. 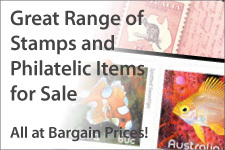 Actual images of the stamps and formats will be posted when available. The gutter strip lists the Floral Festivals represented by the flowers. The five stamps will also be issued in blocks of four within a prestige booklet. 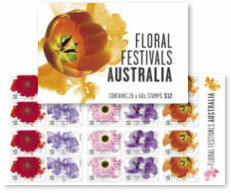 Accompanying this issue is a prestige booklet containing five panes of four stamps giving more information on the floral festivals and flowers shown. 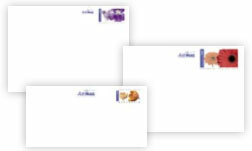 Self-adhesive stamps will be issued in rolls of 200 and booklets of 20. 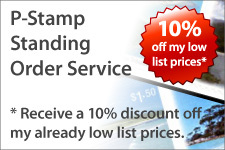 A set of maximum cards, prepaid envelopes and an aerogramme accompany this issue.